Charis Cotter, author of The Swallow: A Ghost Story, has been awarded The National Chapter of Canada IODE Violet Downey Book Award for 2015. The $5,000 prize was presented at the time of the 115th National Annual Meeting of IODE Canada on 29 May 2015. 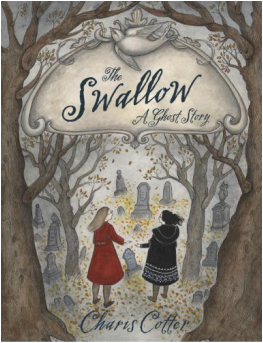 The Swallow: A Ghost Story, published by Tundra Books (Random House), is suitable for children ages nine to 12. This spooky gothic novel, set in Cabbagetown, Toronto, in 1963, is partially based on the author’s childhood experiences living behind the Necropolis Cemetery. Rose and Polly are two young girls, who upon their first meeting, each believe the other to be a ghost. The two girls of very different life circumstances and personalities become fast friends once they manage to convince each other they are alive. Charis Cotter is a writer, editor and storyteller living in Western Bay, Newfoundland. She grew up in Cabbagetown and Parkdale in downtown Toronto. In 2005, Charis won the Heritage Toronto Award of Excellence for her book, Toronto Between the Wars: Life in the City 1919-1939. Since then, she has written several critically acclaimed children’s books including a series of biographies about extraordinary children and an illustrated book about international ghosts. Born to Write: The Remarkable Lives of Six Famous Authors was a finalist for the 2010 Norma Fleck Award for Canadian Children’s Non-fiction. Today, Charis is known for her lively school presentations based on her books. She has toured Canada from coast to coast, entertaining children with her alter egos: Queen Elizabeth II (complete with gown, crown and royal attitude) and the Scottish Silky Ghost, who dusts everything in sight, including children. Her fascination with ghosts has led her to many far corners of Newfoundland, looking for ghost stories. "It is a great honour for me to accept the IODE Violet Downey Book Award for The Swallow: A Ghost Story. IODE have been spreading their goodwill in Canada for 115 years with hard work and creativity to donate money to a wide spectrum of important causes. Their support of The Swallow means that it will find its way into libraries and schools from Queen Charlotte Islands, British Columbia to Sheshatshiu, Newfoundland and Labrador. 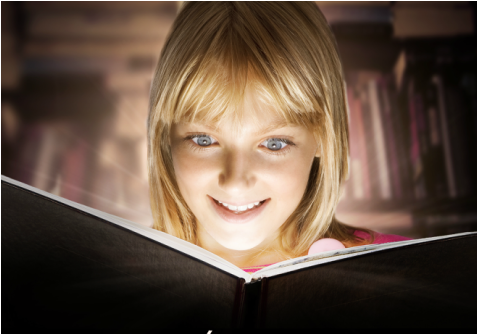 I am delighted to have my book given this level of recognition by this impressive organization and I would like to thank all the members of the IODE for their continuing efforts to promote the love of reading in children. I’m a happy author!" The Swallow: A Ghost Story is available at book stores across Canada. “This is a novel about loneliness and friendship, feeling invisible, finding your voice and long-buried secrets. But The Swallow is never heavy-handed and, best of all, it’s genuinely spooky... Like all the best ghost stories, it tells us more about the living than the dead. It is a fantastic addition to Toronto literature with all the makings of a classic (Quill and Quire).” “The Swallow doesn’t just fly; it soars."